Are you considering freezer meals as a great way to save time and money in the kitchen? If so, you may be wondering if you are stuck with using only specified freezer meals. The truth is, almost any recipe can be turned into a freezer meal with the right tips. Since nearly any meal can be turned into a freezer meal, there are really just a few things to consider. Most of these considerations have to do with textures and cooking methods, so we will break down those tips and help you manage to create your own freezer meals using your family favorite recipes. For most, the idea of a freezer meal is either a recipe that is thrown together in a freezer storage bag and thawed to cook later, or a meal that is cooked in advance and simply heated up when ready to eat. What type of cooking method you choose usually depends upon how you will be cooking the freezer meal, and how much time you will have to do so during the weekdays. This is by far, the most popular method of creating freezer meals for your family. Using the Crockpot or your preferred slow cooker to cook meals while you are at work or doing other things frees up your time while still giving your family great meals. I have this crockpot and love that you can set the timer to stop cooking and just keep warm after a certain amount of cooking time. This helps your meal not get overcooked if you are away for a long time during the day. Most Crockpot freezer meals are put into the freezer in a raw state to be thawed overnight in the refrigerator and added to the slow cooker the morning you want the meal to be cooked. The exception to that often comes in the form of dishes using ground beef. Things like slow cooker lasagna or beef tacos often require cooking the meat in advance as most don’t like the texture created when you slow cook ground meat in a sauce. To make a traditional recipe a Crockpot freezer meal, you need to consider the normal steps of preparing the meal. Obviously, items that are typically fried or roasted don’t work as well in the Crockpot. Things that can tolerate slow cooking, soups, stews, and some casseroles work best. Preparing the recipes is often as easy as tossing all of the ingredients into a freezer bag, thawing, then dumping into the Crockpot. In other cases, you need to leave out things or consider changing amounts to make them cook appropriately. Adjust the amount of water or liquid since it won’t condense as much in a Crockpot as it would on the stove top. Leave rice or pasta out of the freezer and add into the Crockpot with other ingredients day you cook. Cook ground meats ahead of time and freeze separately, or make a note to cook the morning you will be assembling in the slow cooker. Spray the slow cooker with non-stick cooking spray before layering pasta or casserole items so they do not burn or stick. These hands-free baggy racks can make freezer cooking easier. If you are going the method of preparing all meals in advance to simply reheat on the day you wish to serve them, it is typically easier to manage since they will be prepared in much the same manner you normally would. There are a few things to consider when preparing any meal you intend to reheat later. When using pasta or rice, leave out until the day the meal is being prepared, or in the case of casseroles under cook before freezing. These items can easily overcook in the reheating process. Don’t freeze things like garnishes, tortillas for tacos, or chips and crackers for soups or dips. Add these to your pantry to use fresh on the day the recipe is prepared. Many vegetables will create more liquid in the process of thawing and reheating, so adjust your liquids slightly so you will have the right consistency in the reheating process. Potatoes are one of the more difficult items to freeze, but if you use less liquid in preparation, you can simply add more on the day you reheat to adjust to preferences. For easier reheating, you can divide recipes into portion sized containers when you freeze. This allows you to heat up only what you need for that one meal, and also takes much less time to reheat on the day you want to enjoy the meal. Ultimately, what tends to make or break a freezer meal that comes from one of your favorite recipes is how you store it until ready to eat. Many items can have problems with freezer burn if they aren’t stored appropriately. Below are some tips to make this easier to manage, and give you the best tasting food are ones we have used time and again with success. Use vacuum seal food storage bags for soups and sauces to remove all air from around the liquid preventing freezer burn issues. This Foodsaver Automatic Vacuum Sealing System is a great addition to any kitchen. Allow food to cool completely before putting into the freezer containers so no extra heat causes condensation which creates freezer burn. Make sure to label all freezer meals with date of preparation as well as recipe instructions for reheating or preparation. When freezing in storage bags instead of containers with lids, lay bags flat on a cookie sheet or shelf until frozen. You can then stand them up side by side to save space in your freezer. Rotate older freezer meals to the front when preparing more dishes for the freezer. Also, try to work through everything you have ready in your freezer before adding more so you aren’t letting items stay in the freezer too long. Get familiar with proper freezer storage length for meats, vegetables, and prepared meals according to the FDA for safety reasons. These tips for creating freezer meal versions of your favorite recipes are really just common sense techniques. It’s all about safety and adjusting things for texture or moisture. You’ll find there may be a few recipes that just don’t come out as nicely the first time, but you’ll quickly be able to identify the problems and change as needed. 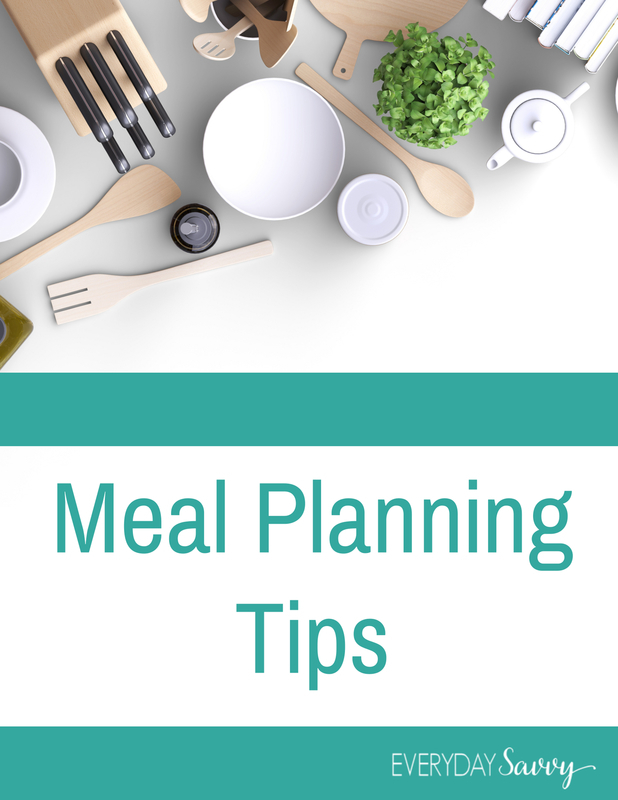 Looking for meal Meal Planning tips? Check out these articles. These are fantastic tips! I love making double-batch meals for freezing because it makes life so much easier. Thanks for sharing your wonderful ideas with us at Merry Monday this week!